The Environmental Protection Agency is to prosecute the owners of Dublin's Poolbeg Incinerator over an incident which resulted in 11 employees being taken to hospital. The incident, which resulted from the release of lime from the filtering process, was one of a number of breaches during the first week of the plant’s operation last month. The EPA has now initiated legal proceedings against the Waste To Energy Company which is a partnership between Covanta and Dublin City Council. In a statement the EPA stated: "Dublin Waste to Energy Ltd has made a number of process modifications and improvements to the plant since the incident of 7th June 2017 and is now in a position to restart operations. The plant will start-up on diesel and waste burning will commence thereafter." The EPA said it is satisfied that there was no impact on public health or the environment resulting from the incidents, and that it will continue to monitor the facility to ensure it operates in compliance with the licence. The plant restarted its operations today. Earlier, the EPA found a "moderate" fly infestation in the Poolbeg Incinerator. The EPA carried out an inspection following complaints of unprecedented fly infestation in Ringsend and other areas nearby. Local people whose homes and businesses have been affected say they have never seen such an amount of insects. Earlier today Covanta, issued a statement saying that fly infestation is not an issue at the plant. But the EPA said that following a visit, there was a low to moderate infestation. The agency said that Covanta had pest controllers into the plant three times this week. 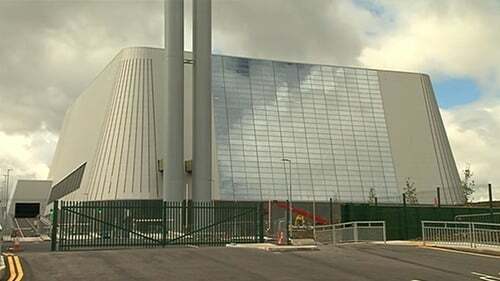 They cannot link the incinerator to the local infestation but have instructed the company to maintain pest control as it is required to do under its waste licence.